I loathe cleaning, I truly do – but there are certain times when I can really get into it. Spring is one of those times! It’s the packing away of winter things, the deep clean on the house that helps me say “hello summer.” There’s something really satisfying about it – like the feel of slipping between clean sheets. So since I really don’t like cleaning, I’m all in favor of finding ways to do it better, faster! I’ve set up a Pinterest board just for this #Mumsnight, feel free to follow along and join us on Monday night on Twitter. Be sure to follow hashtag, #MumsNight. If you’re unsure of how to join in – here are some tips about participating in Twitter Parties and Twitter chats. Please join us for this week’s #MumsNight discussion where we’ll be sharing tips, secrets, ideas and cleaning confessions for “Spring Cleaning Hacks.” Hopefully we’ll all come away with a few great ideas to spend less time cleaning. Also, to make the evening even more fun we’ll be running a giveaway! 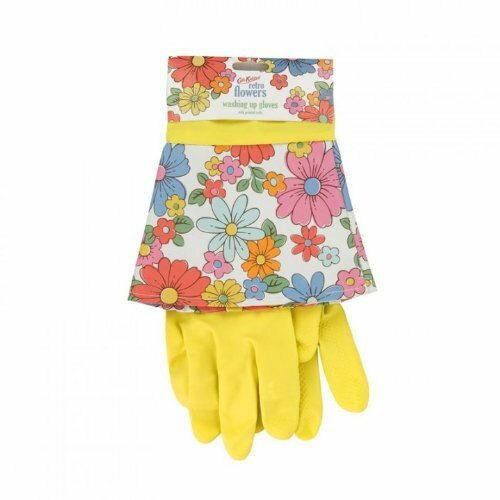 I will send the winner (within the UK) a pair of Cath Kidston washing up gloves and a 20 GBP gift card to Tesco. Feel free to use it one whatever you want, although I’d recommend cleaning supplies and gin!